Over the next couple of months I’ll be travelling all over Hertfordshire and Essex to perform my unique & sophisticated style of wedding magic. The two counties have some incredible venues, which provide beautiful backdrops to such special occasions. 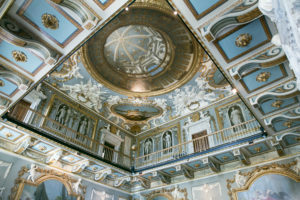 Moor Park Golf Club in Rickmansworth is a stunning mansion set in 300 acres of grounds landscaped by Capability Brown. The mansion itself is perfect for an elegant wedding, and the staff will really look after Holly and Andrew on their wedding day. I’ll be performing table magic for their 80 guests whilst they tuck into what’s bound to be a sumptuous meal. Micklefield Hall near Rickmansworth is an idyllic setting with a stunning 16th century barn which has been undergone an award-winning restoration so it can accommodate weddings at any time of year – it has both underfloor heating and air conditioning. I’ve been there a few times and found it a magical place with attentive and accommodating staff. I’ll be performing for Beckie and Simon’s 100 guests during the drinks reception, as well as entertaining them between courses at the meal. I’ve performed at Offley Place near Hitchin before and think it’s a picturesque location and the Manor has lots of country house charm. I’ll be performing for Tim and Tracy’s 120 guests whilst the room is being turned round after the speeches in preparation for the evening. 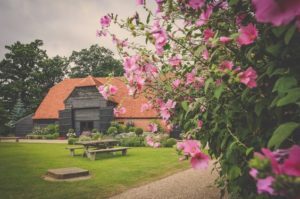 Blake Hall in Ongar hosts weddings in two fully restored 17th century barns set in 60 acres of formal gardens. I’ll be performing magic to 100 of Lindsay and Marcus’s wedding guests during the drinks reception whilst the bride and groom are busy having their photos taken. 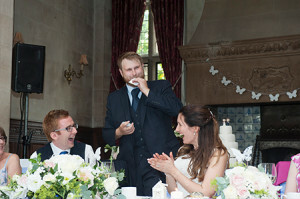 I’ve often been asked to perform magic at Gaynes Park Barns near Epping. As I’ve said in a previous blog, it’s a great venue because it has the feel of being totally secluded, yet is only a short hop to the M25! I’ll be spending two hours entertaining Peter and Michelle’s 120 guests during their drinks reception and round the tables at dinner. The old barn and baronial hall of Vaulty Manor in the Essex countryside makes a great wedding venue. Grace and Stuart have asked me to perform for their 100 guests during the drinks reception and around the tables between courses at dinner. I am taking bookings for 2017/18 and to find out more about my bespoke wedding packages and mid-week offers please do get in contact.